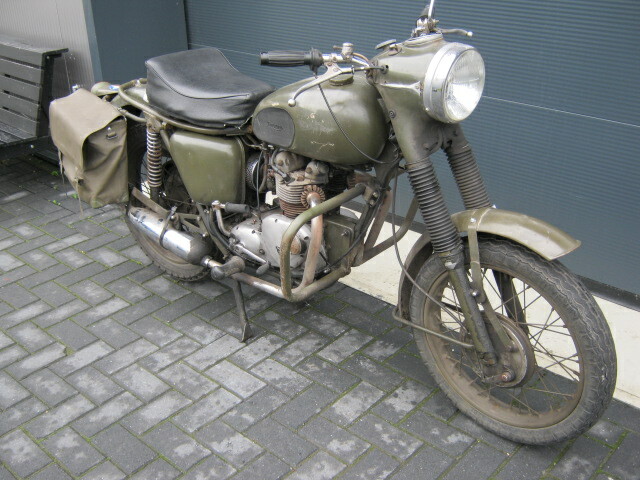 Triumph Army 3TA. according to seller engine has been enlarged to 500cc. 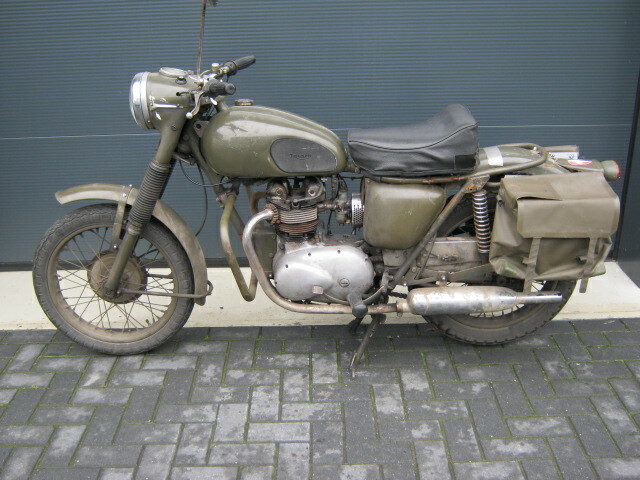 Is complete and runs and rides, but sold for restauration. Las years a long voyage around almost the whole South of Europe has been made with it. Is with Dutch registration, no matching numbers.